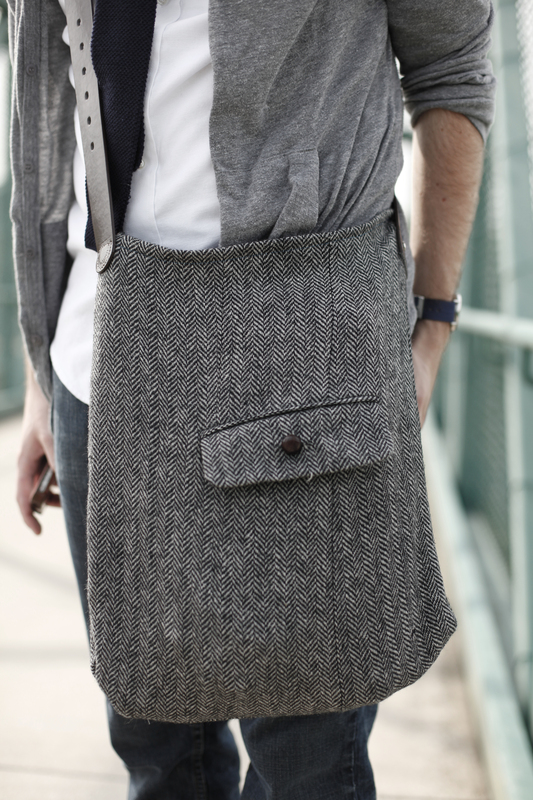 Tweed Satchel and Pocket Square D.I.Y. I am always trying to come up with creative things to make that add just that extra flavor to my look. Fall is here, so I decided to lose my tote bag and create something that looks ideal for the season. When I think of tweed, I think of old professors walking around campus, leaves falling and the first days of class. Using a DIY I found on Instructables website, I created a tweed satchel. 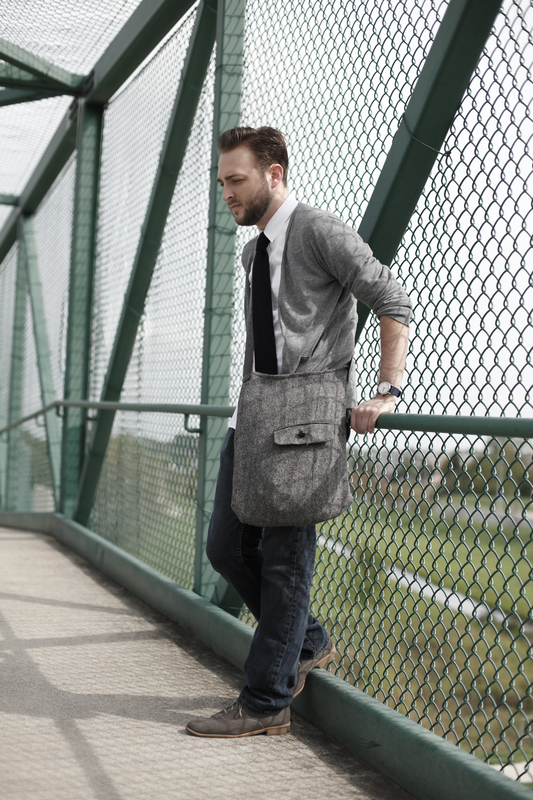 Tweed can be expensive, especially the amount I would need to make a bag. Instead of going to the local fabric store to buy some, I chose to make it from an old jacket I found at Red Racks, a local thrift store, for $1.98. As for the lining I chose for this project, I used from a gingham shirt I thrifted ($2.98). The strap was from an old belt I found at the Salvation Army ($2.98). I took the belt to a shoe repair place and they sewed it on to my bag for $8.00. The DIY took 4-5 days of cutting, measuring, and sewing but the results turned out to be fantastic. 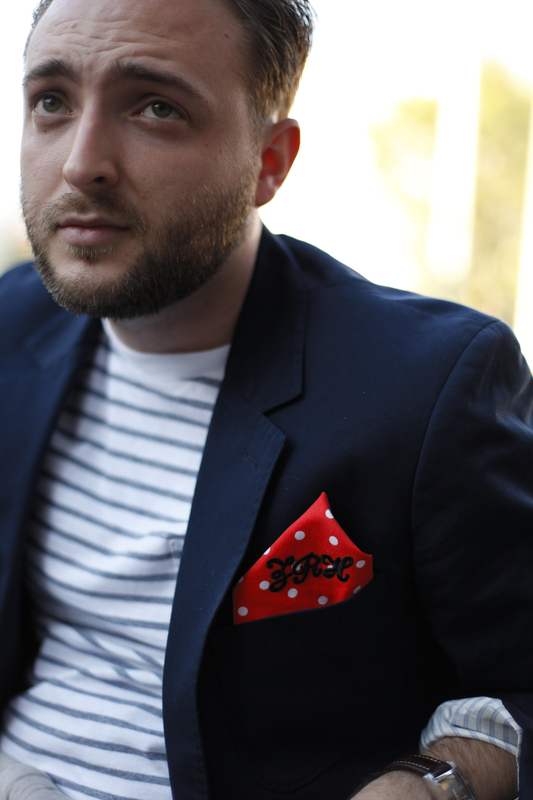 The second DIY I chose was a pocket square. I used the blog Eight-In-Hand to guide me through the project. Instead of using my machine for the DIY, I tried to brush up on my hand sewing skills. The material that I used was from the local fabric store ($1.97). Polka dots are becoming “the in-thing” for both men’s and women’s fashion. I like how they can add both depth and texture to one’s look, especially as a pocket square. I enjoy mixing solids, and stripes with polka dots. I also decided to add my initials to the square to make it ideally mine. They are iron-on, and you can get them at almost any fabric and craft store for $1.00 a piece. 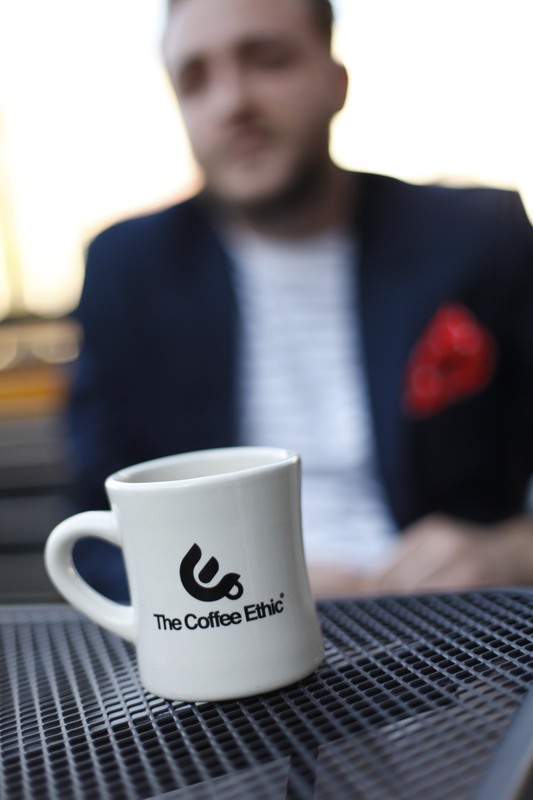 P.S.- Coffee Ethic is one of the best coffee joints in Springfield, MO.